World Environment Day is celebrated each year on June 5 in order to remind us all that our fragile and common environment needs to be protected. Delhi has always been on the forefront of the celebrating the Environment Day, largely as a day to highlight the several green initiatives across the National Capital Territory. 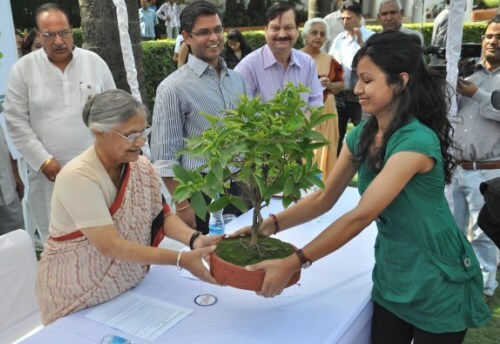 Government agencies, citizens, civil society groups, RWAs, Eco-clubs and NGOs all either come together or individually celebrate the day by carrying out plantation activities or eco-workshops. This year, like any other year, the Department of Environment (DoE), Government of NCT of Delhi (GNCTD) will be celebrating the World Environment Day and has invited school children to join in the celebrations! The Environment Day this year is being observed at the Garhi Mandu City Forest along with the Hon’ble Chief Minister Smt. Sheila Dixit and other dignitaries. The Garhi Mandu city forest is located close to Wazirabad Village and barrage in North Delhi district. It should be noted here that the pioneering plantation drive to bring alive the Garhi Mandu city forest had taken place in July 2009 to mark the International Day of Biological Diversity. As part of the Environment Day celebrations, the DoE has invited the schools in Delhi which host an eco-club to send in 10 students by 8.00 am along with their eco-club incharge to join in the celebrations! Further information on this can be obtained at the following numbers: 011-2339202; 9717593506. Green greetings to all!